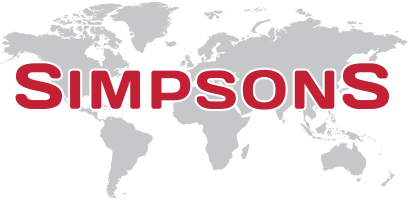 Simpsons provide both export and import services to trade clients. Exports incorporate the major European and International destinations and imports are delivered throughout the UK and Europe. Our European deliveries are carried out by our own road-trains departing on a regular basis along with dedicated services to Scandinavia and Western Europe, all part of our European trade services. Part load export services, from our depot to door, to all of the major worldwide destinations are available to trade clients with regular departures in our own containers. Simpsons warehouse is approved by HMRC as an ETSF approved depository, meaning we can clear import containers at our own facility, customs clear and distribute consignments to door throughout the UK and Europe. Our experienced operational staff ensure all shipments are handled professionally and seamlessly so that your clients receive the best service possible. Our trade rates are available online 24/7, but, if you can’t find what you need, email our trade dept. on trade@simpsons-uk.com to receive a quote. If you are a registered trade rates user please login here. If you would like to register for our trade rates, register here.